1. Priority class registration for those enrolling within four years after their military service. First-in-line privileges are a major benefit to veterans, especially for high-demand, general education classes. 2. Counselors well-versed in the needs of veterans. Workshops, orientations, as well as veteran-specific counseling, assessments and educational planning are offered. 3.Transition-skills classes help veterans improve their note-taking and testing, time management, and other skills needed for college success. 4. Veteran services are based on a comprehensive network between Admission and Records, Financial Aid, Disabled Students Programs and Services, and Counseling. 5. 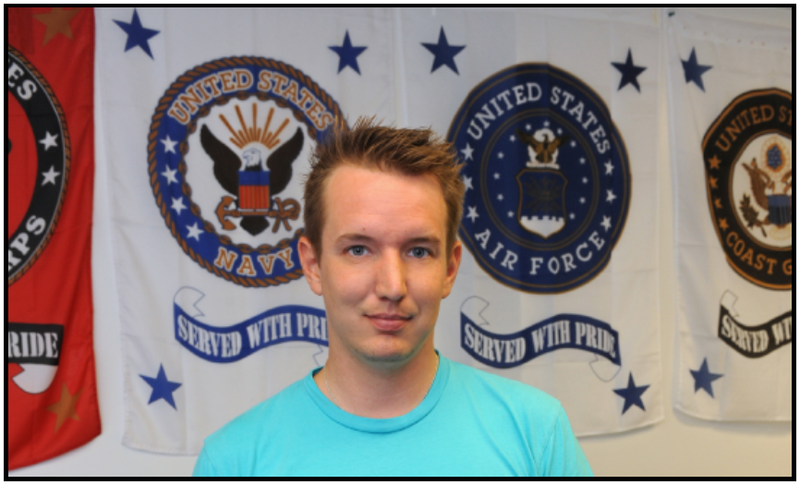 Veteran Affairs Offices with staff trained in the certification of classes to ensure veterans are receiving VA benefits such as housing allowances and payment for fees and textbooks promptly and efficiently. 6. Veterans Resource Centers staffed by veterans provide access to computers and assistive technologies, academic counseling, peer support and mentoring, financial aid resources and referrals to outside agencies. 7. VA Work Study programs that provide paid work experience at the colleges’ veterans’ offices, VA Regional Office, VA medical facilities or at state employment offices. 8. Veterans are connected to community-based resources for those who need assistance with post-traumatic stress disorder counseling and learning disability assessment. 9. VA-backed programs provide private tutoring to qualifying veterans. 10. Student Veteran Organizations foster camaraderie between members and provide outreach to fellow veterans. Check out class schedules and links to registration at www.gcccd.edu/now. 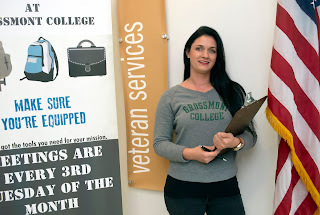 For more information about Grossmont College, visit the Veterans Services page. For more information about Cuyamaca College, visit the Veterans Education and Transition Services (VETS) page. 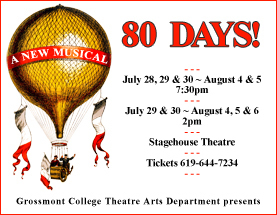 High school and college actors, actresses, costume designers and stagehands are preparing to team up once more for the 2016 version of Grossmont College’s Summer Conservatory program, which culminates with a musical adaptation of the Jules Verne classic, “Around the World in Eighty Days”. The 3rd Annual Summer Conservatory Program enables student performers and technicians to learn what it’s like to work in a professional theatre through daytime or evening classes that teach specialized skills. High school students can earn college credit, and the course culminates with 10 performances in the Grossmont College’s Stagehouse Theatre. 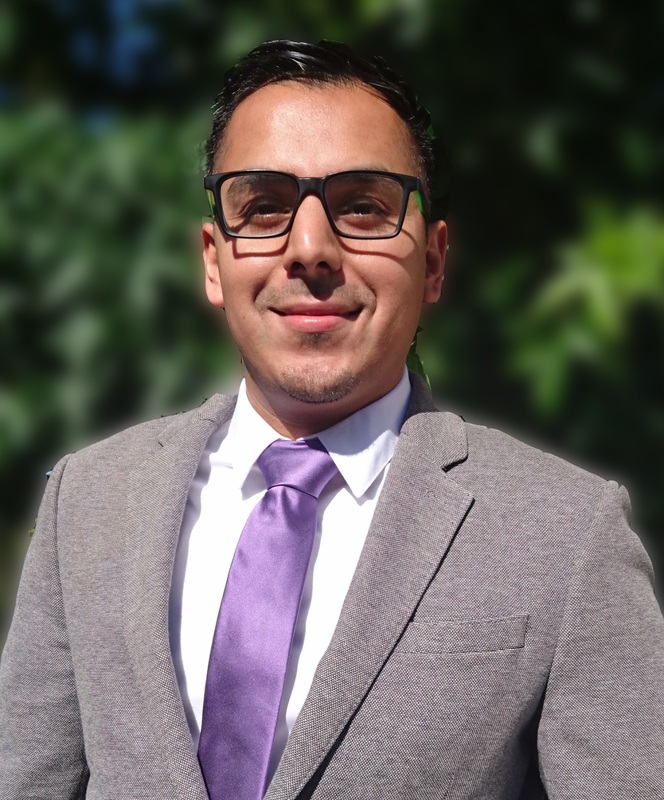 Jesse Enriquez, the new coordinator of an East County initiative to make the high school-to-college or career transition more seamless, understands the challenges facing teens as they venture into adulthood. Coming from modest means and the product of a public school system with a large Hispanic population, starting college was an experience as foreign as anything Enriquez had ever encountered. But the school of hard knocks and an inner drive propelled him forward, and the first-generation college graduate says those memories will serve him well as the coordinator of the East County Education Alliance. 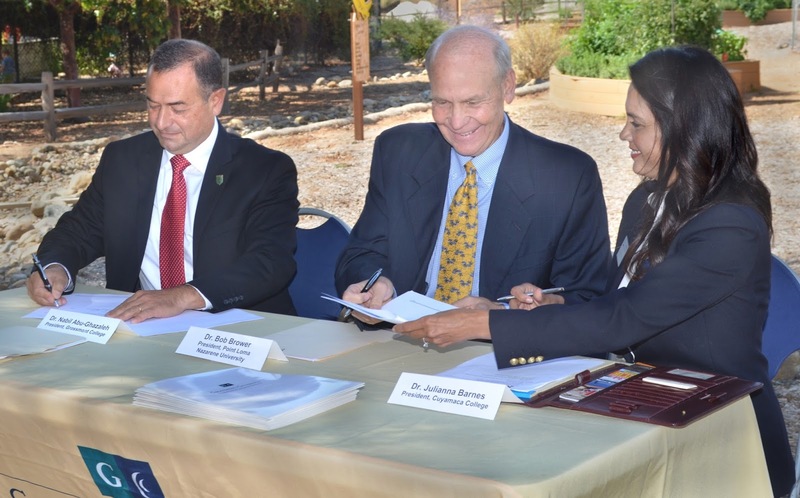 Starting in the fall, graduates of Grossmont and Cuyamaca colleges can continue their education for bachelor’s degrees in three programs from Point Loma Nazarene University (PLNU) without ever leaving the East County community college campuses. offered at Cuyamaca College and Computer Information Technology at Grossmont College were announced today by Cuyamaca College President Julianna Barnes, Grossmont College President Nabil Abu-Ghazaleh and PLNU President Bob Brower. The three baccalaureates offered through PLNU’s College of Extended Learning are designed to fit the needs of working adults, with courses taught by PLNU professors offered either entirely online or as hybrid classes combining once-weekly night classes with online instruction. With all three comparable programs impacted at San Diego State University, the PLNU baccalaureates provide much-needed options for students striving for bachelor’s degrees. Hybrids that are part of the auto tech fleet. 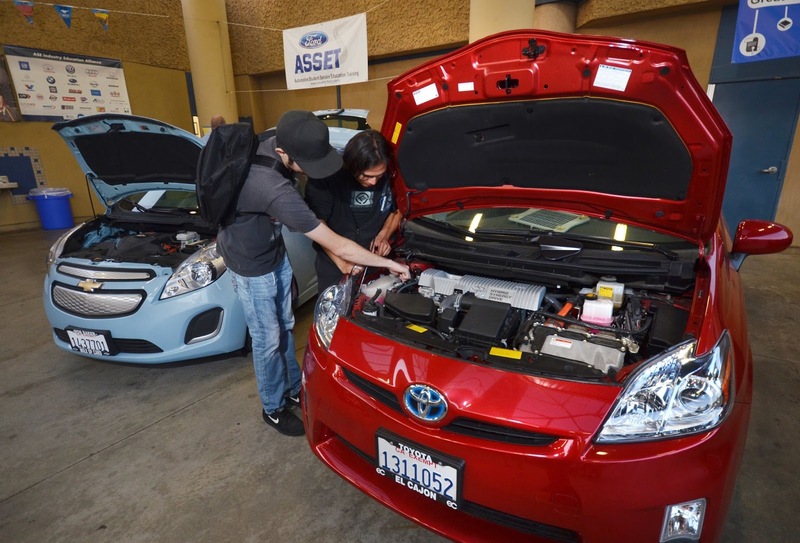 As hybrid and electric vehicles become more commonplace on San Diego County roads, Cuyamaca College is shifting gears to ensure its automotive technology program is on top of the trend. The program two years ago added an introductory class to hybrid, electric and alternative fuels vehicles, which it now offers on Saturdays to provide a training opportunity to working mechanics. Program director Chris Branton said the college will be adding more classes as demand grows and has plans to develop a certificate program in electric vehicles, or EVs, and hybrids within the next two or three years. In addition to classes, the program has added more cars to its fleet of EVs and hybrids, including a 2006 Toyota Prius delivered in May that has been converted into a cutaway car by Megatech Corp., a company specializing in providing training vehicles to auto industry training centers worldwide. Two Iraqi refugees who succeeded academically through perseverance and strength of spirit, and a high-school dropout who’s now on her way to UC Berkeley, shared their inspirational stories at last week’s commencement ceremonies for Cuyamaca and Grossmont colleges. 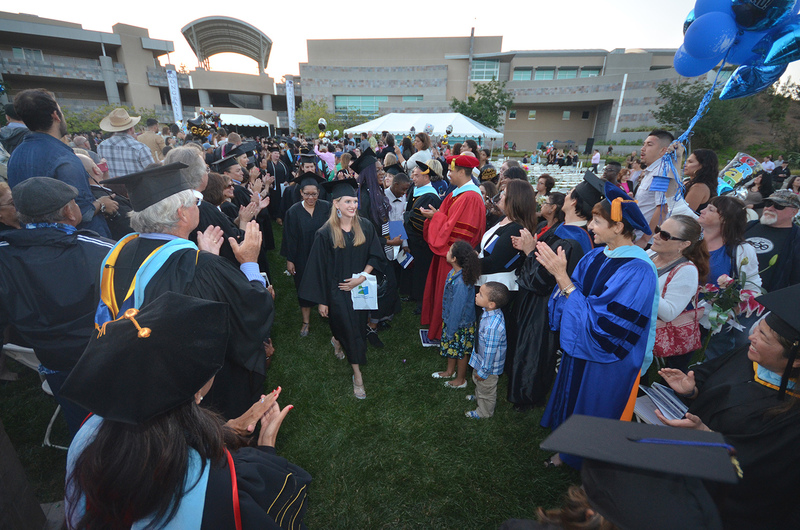 The three were among the approximately 2,100 graduates who received nearly 4,200 degrees and certificates awarded this year at the East County colleges. 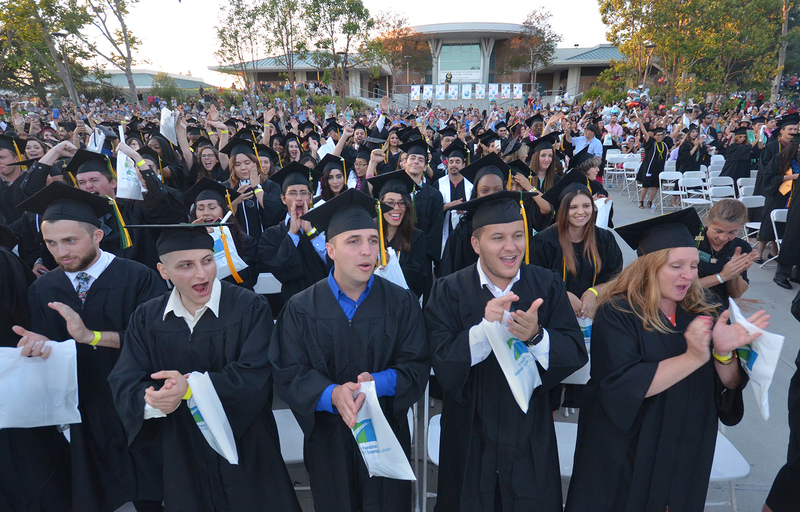 About 640 Cuyamaca graduates earned more than 1,000 degrees and certificates at the college’s June 1 commencement, followed the next day by almost 1,500 Grossmont College graduates who earned more than 3,200 degrees and certificates. Grads at Grossmont College commencement. Chancellor Cindy Miles gave a congratulatory whoop to the delight of graduates and spectators at both colleges, commending the graduates for joining the 40 percent of adults in the country to earn a college degree and encouraging them to continue their studies to become part of the elite 30 percent to hold bachelor’s degrees.